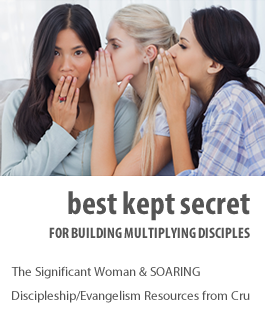 Are you looking for a unique way to reach the hearts of non-Christian women and share God’s love with them? Would you like to have a small group evangelistic resource to use in your neighborhood, on your campus, in your office, or with friends or family? SOARING: Going from where you are to where you want to be may be just the resource you’re looking for. It is a small group evangelistic, life-coaching course that any Christian woman can easily facilitate. It is based on six life principles. In this course women identify and celebrate their uniqueness, define their life foundation and discover their direction in life as they pursue their personal life design. You may download an invitation to give to prospective members of your SOARING group or a flyer to help promote the SOARING resource in your area. Click here to order materials. This Reality Questionnaire will help participants “know where they are” in relationship to seven major areas of their lives. They will answer each question either no, sometimes or yes. If any question does not apply to their situation, they can check no as their answer. * Please note that question 13 and question 36 are duplicates. Question 36 should read: I share openly with my spouse, children, parents and extended family. You will want to change question 36 in your Facilitator Guide and inform your participants to make this same change in their books. Opposite each question in the first column is a white box in one of the seven areas of life. After participants complete their questionnaires on pages 80 and 81, they will assign a value to their answer for each question and record that number in the appropriate white box on the score sheet. A no answer = 1, sometimes = 5, yes = 10. It is helpful if the women partner with each other to complete this process. *Please note the following corrections that need to be made on the Score Sheet on page 83 of the Facilitator Guide and Participant Book. Naturally, it will be helpful for you to make these changes in your book first so the participants can follow your example. Question #36 – A white box is missing for this question. The score needs to be recorded in column 4 labeled “Beloved”. Question #37 – Record the score in column 1 labeled “Belief” (instead of the white box that is shown in column 4 labeled “Beloved”). Question #45 – A white box is missing for this question. The score needs to be recorded in column 4 labeled “Beloved”. Question #51 – A white box is missing for this question. The score needs to be recorded in column 5 labeled “Best Friends”.